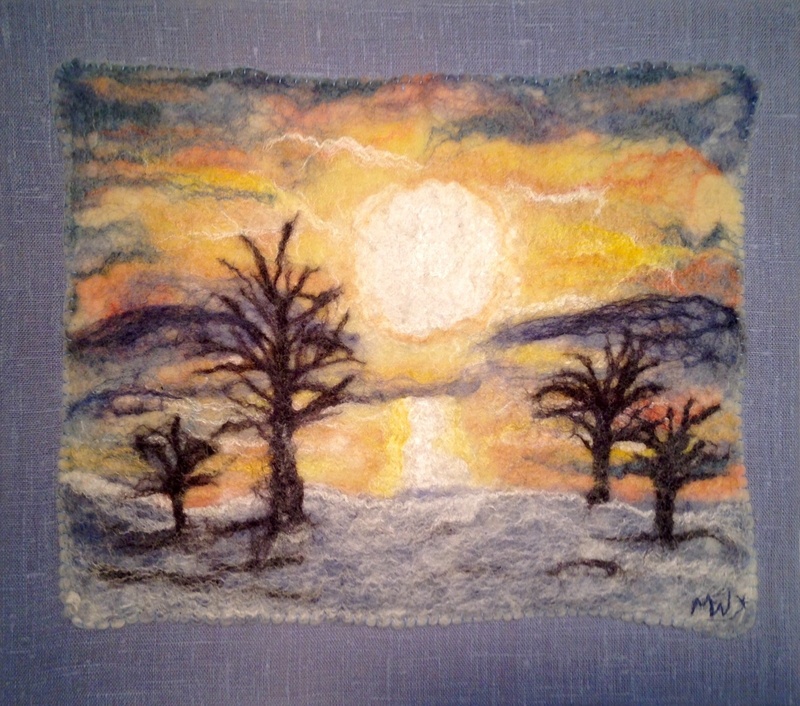 The Source, ( Hvaler) felted wool and silkfibers, mounted on linen. 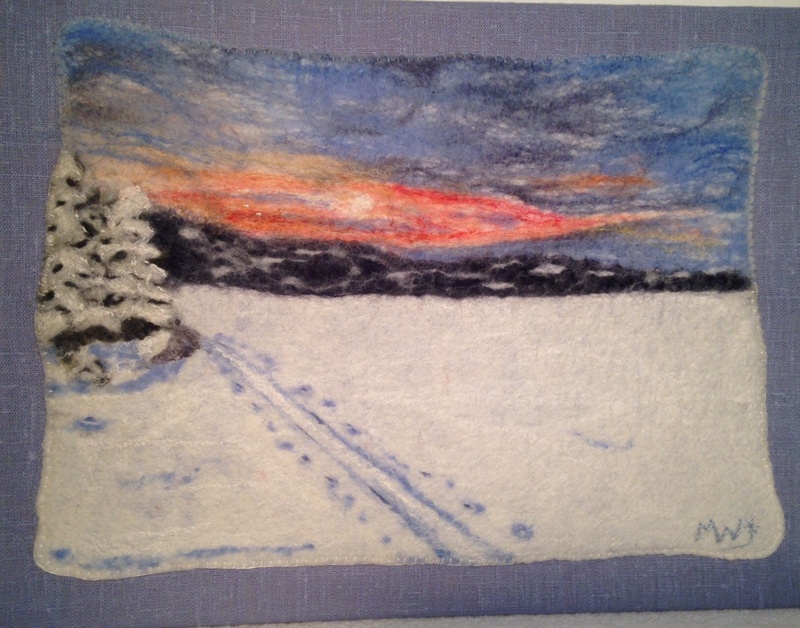 Daybreak (Frognerkilen) felted wool and silkfibers, mounted on linen. 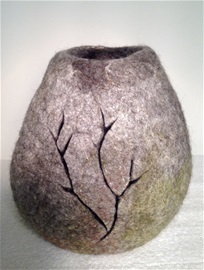 Cracks vessel with orange flowers. 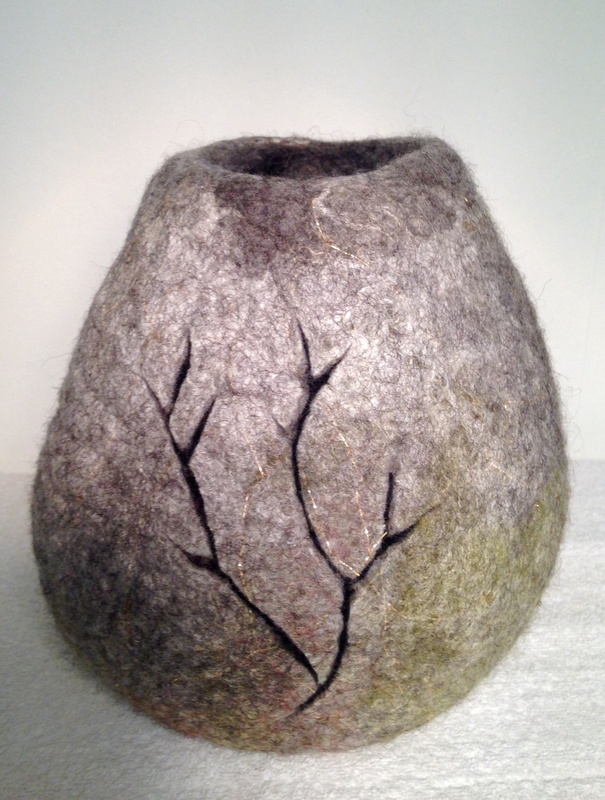 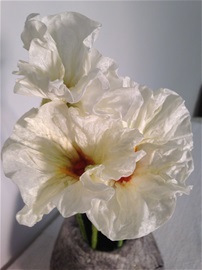 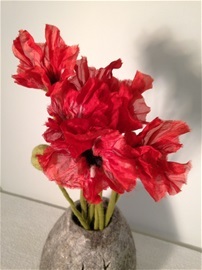 Felted wool, silk, wire. Twilight, trees. Felted wool, silkfibers, mounted on linen. 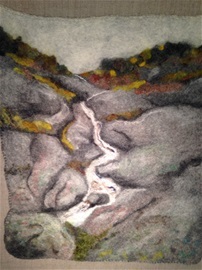 Twilight, tracks. 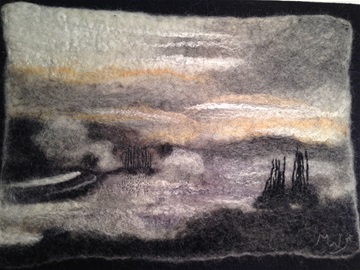 Felted wool and silkfibers mounted on linen. My contribution to the exhibition "Arty Diplomacy" a joint exhibition of a group of artists from the Diplomatic Spouses Association of Norway.